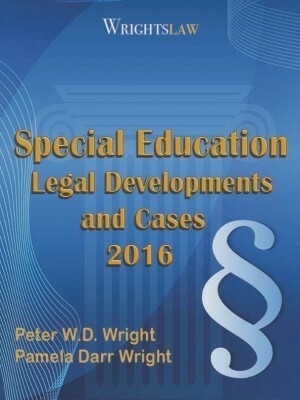 First, it was a pleasure to attend your Special Ed Law & Advocacy Conference in Bridgewater NJ last month. It was also a pleasure to sit with you two at lunch. In a nutshell, my son is 7 years old, going into 2nd grade next year. He is diagnosed with Asperger Syndrome, High Functioning Autism, Oppositional Defiant Disorder, ADHD, and Anxiety Separation Disorder. He has been receiving Special Education Services since age four. His strengths are in Fluency/Comprehension and Spelling. His weaknesses are in the Personal & Social Development area. His placement is in a self-contained/ small class setting for Language Arts Literacy and Mathematics and in mainstream classes with adult support for all other subjects. I want to learn to create SMART IEP goals for his areas of weakness. I am having a hard time figuring out how to make to make behavior goals SMART – specific, measurable, use action words, realistic, and time-limited. I appreciate suggestions or examples. You put your question under “How to Post a Comment.” I’m going to make it a “post” so more people will read it and benefit from it. 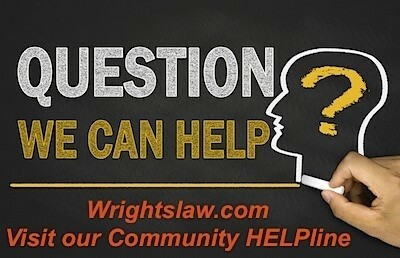 My answer is longer than I like for the Wrightslaw Way blog, but I can’t answer your questions in a few words. Your question: How can I develop SMART IEP goals for behavior problems? The process is the same for any goal – academic or behavioral. 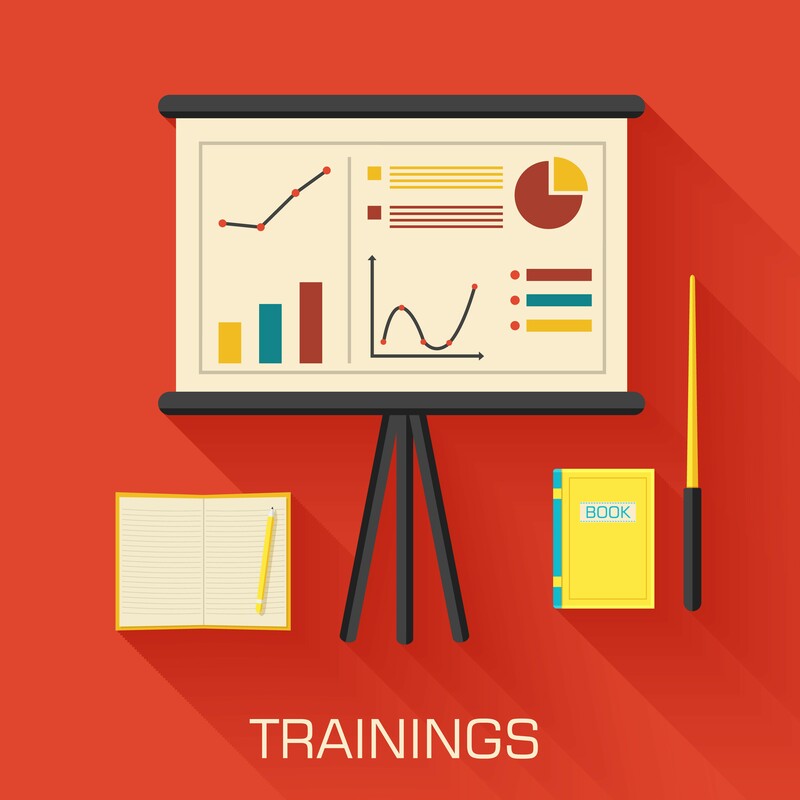 You need to clearly define the target behavior. (Note: the behavior should be described in nonjudgmental terms.) The school needs to gather baseline data on the behavior for the Present Levels of Performance before developing specific measurable goals. A word about appropriate goals: Your child is 7 years old. He has Aspergers Syndrome, High Functioning Autism, Opposite Defiant Disorder, ADHD, and Anxiety Separation Disorder. The behaviors you listed are symptoms of these neurological conditions. At age seven, these behaviors are not under his control. He will need a great deal of help from highly skilled teachers and therapists, parents, and others. Together, these adults will need to teach him how to bring these behaviors under control. This isn’t going to happen overnight, or in one or two years. Remember: SMART IEPs includes an “R.” “R” stands for “realistic and relevant.” You and the school need to be realistic about behavior goals for a 7 year-old with a myriad of problems based on neuro-behaviorial conditions. As written, several problems listed are not specific or measurable. For example: “Does not listen attentively.” This statement is not measurable. We can’t observe if a child “listening attentively.” We will have better luck if we rephrase that goal to “paying attention.” We can observe how often the child is paying attention in a specific period of time, then develop a series of goals to help him improve in this area. To be measurable, we must be able to observe it or count it. Take this goal> “Does not use time constructively.” Again, the statement is written in negative terms. How can we tell that a child is not using time “constructively”? We can’t. But if the goal is changed to “Increase the # of minutes (or other unit of time) that he is on task,” you can get baseline information for the Present Levels by observing the amount of time he is on and off task. Since you attended the Bridgewater program, you may remember that many of these statements were made in Pete’s elementary school report cards – he doesn’t pay attention, talks too much, wastes time, is fussy and too free with his fists, etc. That was in the early 50’s. I think teachers, especially special education teachers, are more knowledgeable about these issues today, but there are always exceptions. 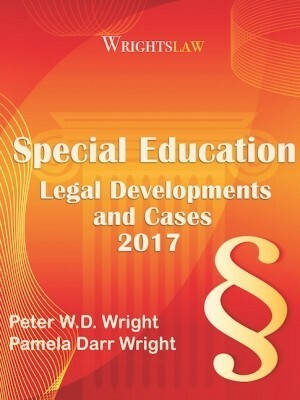 This entry was posted in Advocacy, Eligibility, FAPE, IDEA 2004, IEPs, Legal News and tagged ADHD, Alternative Schools, Asperger Syndrome, autism, Behavior Problems, IEP Goals, IEPs, Parenting by Pam Wright. Bookmark the permalink. My 4 yo has a behav IEP. His behav improved and since then we had an acrimonious divorce but agreed on private play-based psycho-therapy. Behav worsened with therapy and he told me that he is being labeled (in his own way) as “an angry child” and that’s why he “needs to see the feelings doctor.” I stopped therapy for him (we have joint decision making on all medical) but she is bent on having him in therapy. We have a meeting setup with his school to discuss his behavior again and his mother would like to get support from the district for private therapy. His teacher said “they’re not allowed to recommend private Psycho-therapy but it would be a good idea for us.” I’m interested in other therapy but until then I’d like the school to withhold opinions. Is is legal for them to suggest this? John – clearly the school didn’t make a “formal” recommendation; a teacher voiced an opinion. No one in a public forum can know your situation or your child’s. But decisions and outcomes for any child can’t be based on acrimony, power plays or pride. When parents can’t agree, maybe a neutral 3rd party or someone that knows that child well enough to offer a non-emotional suggestion/opinion/recommendation, is worth considering. Do you have a goal and objective for using foul language and or swearing??? The school psychologist toolbox (website) has a bank of IEP goals on behavior that are a good starting point. I would suggest looking it up. I am a special education teacher. I have just recieved a child that was made ED and placed in my ED/SDC class. The child scored high on all asessment test. Showed progress on Proficent on all state testing but doesn’t come to schol consistently. When he comes he is stoned. Depending on the amount he uses prior to school will determine how functional he will be in class. He readily admits to being stoned. I give him the general education curriculm with no accomodations because he can do it provided he is sober. The goals that were written are school consistency and transistion goals. Does the IEP need to have academic goals? Is this child a special ed child? hi. you probably know by now. but the student does seem t have a disability though it doesn’t sound like it academic. rather socio emotional. What did you decide? Did you write academic goals for this student? Curious, same position. Is he self medicating related to Reactive Attachment Disorder, Depression, or other addiction or mental health disorders? Would be a good referral to your school’s mental health therapist and behavioralist for answers and an updated evaluation/assessment. May also be a Mandatory reporting if he is putting himself in harm’s way with impaired judgement through drug use. If you do a search for “School wide positive behavioral supports” you will find a research based plan that helps children develop positive behaviors in school. All the other ideas are great but you have to use lingo that the schools will respond to and understand. Any plan has to be well written, and easy to implement for it to work. The teachers who are involved with your child have to understand the plan, why it is important to your child’s success in school, and have the resources they need to implement the plan. Depending on your child’s age and cognitive ability it should be one that they buy into. When will you be coming to Northern NJ? Our child has Reactive Attachment Disorder. 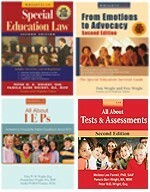 We have asked each year for an IEP. I was fortunate enough to stay out of work and use my degree in education to teach him reading, writing, and math skills. His behaviors, taking a knife to school, threatening and assaulting children, voicing suicidal and homocidal thoughts does not constitute and IEP. At our CFT Meeting this past week, we were told that there wasn’t enough difference in scores, so he could not have an IEP. The principal said we cannot ask this year because it’s too late; however the therapist says differently. My concern is that if our son flies through the test, he will fail. If he had one on one testing, he would do much better; however the school team wants to remove our son as soon as his testing is over. This won’t help his score, but will leave his class in peace. My Aspergers son displayed many of these symptoms at age7. He is now a leader in his scout troop. We use a BIP in conjunction with IEP. Getting everyone education on it as my son transitioned to high school was half the battle. Would like to see making one solid friendship a goal – how can I do that?? 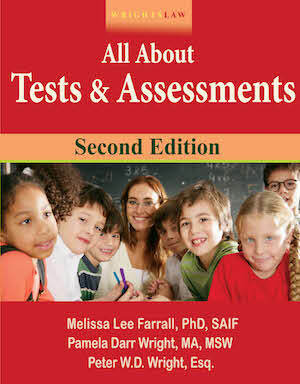 Trying to find how a child learns best may be just finding what type of learning style they possess. 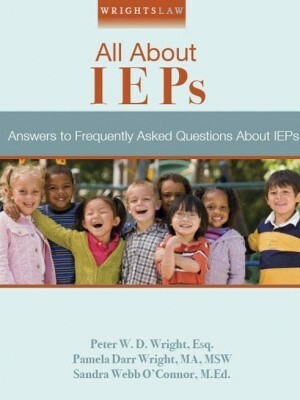 This may help those in an IEP meeting on finding ways to reach a child on the spectrum better. Don’t know if this Learning Styles Quiz may help, but could…right? Educating any child has its challenges. When you have a child with different abilities education systems often struggle not only with academic but also emotional attributes of the family too. As a special education teacher for 35 years, these different abilities help others grow also. Please work with your schools and help them and your child see that learning is exciting. 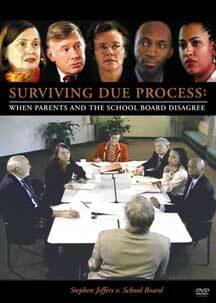 When you and your school disagree work out a plan to be able to disagree that does not affect your chilld’s learning. I spend many hours a day trying to provide the best plan for my students, and many times they are not always successful, but that does not mean I am not trying…… I truly wish that both parents and teachers would understand everyones plan will be successful and unsuccessful but keep trying. Many parents get very frustrated dealing with school systems and administrators who know little about Asperger’s syndrome and sometimes don’t seem to care to learn. I like your concept of the appropriateness of the goals and the memorability, especially. For me the real problem with IEPs is that they are attempting to teach a set of skills to a child who is not ready to learn them. 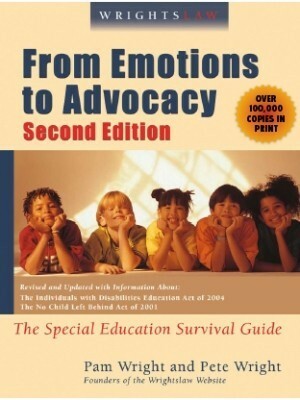 The un-stated outcome of the IEP is to teach a child enough to survive as an adult with developmental problems. The whole educational model we have developed over the centuries is to teach children stuff when they are capable of learning that stuff. Children with Developmental Disorders are not capable of (ready for) learning the things they need to learn based on the school’s model. I know it is unrealistic, but I would love to see educational approaches which re-engage the stuck developmental process and encourage children with developmental disorders catch up with their peers. Jill- We had a behavior plan for our son. We requested that the school provide a behavior assessment for our son. (We put the request in writing and sent it certified mail). After the assessment we got together with the person who did the assessement and went over our son’s “triggers” that caused much of the behavior problems. Once the teachers understood some of the issues a positive behavior plan was put into place for him. It worked out beautifully. In fact it meant the school was now liable to follow the behavior plan and it served as a “protection” for our son. For example if our son got in trouble we could ask if the teacher followed the behavior plan. If not then it was not all our son’s fault. It worked so well we kept it in place for a long time. Thank you for dealing with this question about behavior issues. I find this to be one of the more difficult parts of an IEP to deal with. My son has an auditory processing/dyslexia learning disability and has had behavior issues only in relation to academic stress/testing/or what he sees as difficult assignments that are over his ability. I have had a very difficult time having school staff understand that these are triggered by academic conditions and not just behavior issues. Depending on the teachers ability or willingness to deal with it , often makes it worse. When I addressed this in an IEP meeting, it has been brushed aside, now after about 5 incidences this year the principle wants a behavior plan for my son. I’m concerned that this will not be in my sons best interest, but used against him. What’s the best way ? I appreciate the value of the two R’s – relevant and realistic. As a special education teacher I am always looking for ways to write better behavioral goal for students. I will share this information with collegues and parents. Many times it is better to write the learning goal separate from the attainment criterion, which is essentially what you wrote: “Increase the # of minutes (or other unit of time) that he is on task”. In many cases, it is possible to determine what the child must learn in order to attain that defined success rate. If at all possible, I (along with the IEP team) write the IEP goals in this way. 1. We determine the essential skill the child must learn and write it as the goal (“Name will learn and use at least 5 strategies to help name be self-attentive.”), 2. We determine what the criterion will be for success, 3. We determine what will be the most objective measure and 4. We measure regularly. Then we do whatever works, whatever it takes, to reach that criterion based on continued progress monitoring and adjusted instruction. I am always enlightened and inspired when I visit this site. School can be intimidating for parents – I appreciate their bravery. I love all the children I have worked with over many years because they taught me to listen to their pain and to listen to what they like, their passions. Don’t “fix” them to fit a rigid system. Witness and recognize their world view and they will learn and respect you for what you want them to do. Coping with ODD can be very stressful for a family. Finding oppositional defiant disorder treatment can also be a real struggle to find. Over time things though are steadily improving as people become more aware of the issue. I have a 5 year old boy and he is a high functioning child with Down Syndrome, or so I was told. I want the BEST education for him and his IEP is May8th, 2009, can you please give me points I should bring up at my meeting. He is in an intergrated Pre-school and will be going to an intergrated Kindergarten with approx. 20 children. 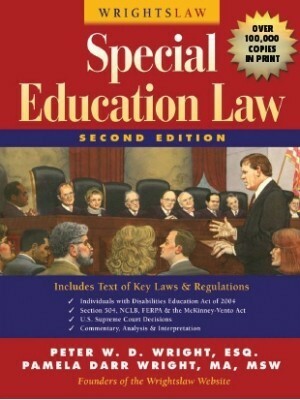 The Special Ed Dept. explained that there will be an aide or 2 in the classroom for the 20 children. I don’t feel that is enough, my son gets easily distracted and I’m very concerned about his ability to learn and absorb his acedemics. He can spell & write his first & last name, he knows his address and phone no. He knows his alphabet and counts up to 20 and with assist. he can count up to 30, Please advise. I found the information very informative, I live in Los Angeles, CA, my child has ASD, high functioning/behavior problems,and was attending an LAUSD school, but they wanted to pass him to 2nd grade when not ready academically. We requested to repeat 1st grade and a different school, request denied, so we placed him in a catholic school. So far doing GREAT. Do you know any case where ANY DISTRICT is paying for a private school, for being the most appropriate education, not because of religious belief? I hope I have made my self clear, thank you! can anyone give me some ideas of iep goals for a high functioning female who has difficulty with congnitive thinking. just does not get the social cues, poor pragmatices. My son was diagnosed this summer with bipolar after a terrible and frustrating previous school year. Many visit to the school with no help. Now suffering major consquences and the school is not taking any responsibility and did not intervene all year. What can I do. My son is 5 years old. Truly an amazing child, but has several learning disabilities. Diangosed with PPD NOS, but I was told he did NOT have Autism yet all the material and references to his challenges are all referred to under the Autism label. The IEP panel has decided my son should start Kindergarten in a Spec Ed classroom where he is the only Kindergartner, and a mix of children up tp 4th grade. Most of the kids are not in their full time. How can this be best for my child when he has social issues that need to be addressed and worked on daily? How can a teacher meet his needs when she is attempting to meet the needs of several other children at various grade levels? I have so many concerns about this. Any suggestions or advice on how to handle this? My son, now 17 and in high school, displayed many of the same behaviors when he was young. While it may not be a useful idea for Debbie right now, one of the things we did early on that was very helpful was to proactively develop an FBA and BIP BEFORE we had major “behavioral” issues. We listed the behaviors we had seen, acknowledging them as “symptoms” of his autism. Then we brainstormed and listed supports that had worked, or that seemed likely to work. Part of my job was to make sure that things were listed in positive terms, and that it was clear that these behaviors were NEVER to be seen as “disciplinary”. We constantly worked with the school to develop plans to teach desired behaviors. Scripting, prompting, lots and lots of visuals, the ability to take breaks as needed, and always, training for the staff working with him. It is a LOT of work. It required that we continuously work on positive relationships with the school staff (occasionally an almost impossible task). We had to maintain records, follow up on evaluations, communicate continuously with the classroom personnel. Over the years it has proved so successful that I no longer need to remind everyone that we may see neurologically based behaviors (which we still do from time to time). One group of staff trains those who will be working with my son the next year. His success has become their success. It is a win-win. We are not in a wealthy district. I am a single working mom. This is not a technique that will only work for me. It is following your plan over and over again. It is being consistent about record keeping and taping meetings and letters of understanding. It is tedious and at times heartbreaking. But it has worked and I firmly believe that it can work for others. I am a special education teacher, and my school for students with communication disorders (including autism) uses PBIS with good success. Individual behavior plans are designed for students who need more specific interventions. I suggest you visit http://www.rdiconnect.com/default.asp . The RDI program focuses on relationship development, going to the root of autism deficits using a structured, supportive approach. Pat: Removing your son from a school for children with autism and putting him in a room by himself with a paraprofessional is a terrible idea. You are right in saying that this plan flies in the face of IDEA’s mandate about LRE. Paraprofessionals are not highly qualified teachers. NCLB states that paraprofessionals “may not provide any instructional service to a student unless the paraprofessional is working under the direct supervision of a teacher.” (20 U.S.C. Sec. 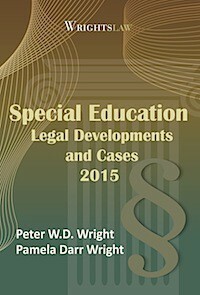 6319, page 201 in Wrightslaw: No Child Left Behind). Has your child been evaluated by a psychologist or diagnostician in the private sector? If not, you need to get an evaluator involved. After a comprehensive psycho-educational evaluation, this person needs to make recommendations about what your child needs in an educational program and what will happen if he is placed in the school’s proposed program. The evaluator needs to have expertise in autism spectrum disorders and educational programs, and needs to be willing to present his/her findings and recommendations to the school in person. My son has similar diagnoses; Aspergers, traumatic brain injury, bi-polar disorder, ADHD, etc. The school district placed him in a private school for children with autism and other developmental disabilities but because of the considerable cost now wants to put him back in a district school in a small room with a paraprofessional – no art, music, or PE – lunch in the same room with no peers. Even though the school he is at does not have “neurotypical” children, how can this be the LRE? What are the legal requirements of LRE and are there cases that have been tried that are similar? I read this post with interest. My son (11 yrs. old) has many of the same diagnoses. This coming year will be his first in public school in 3 yrs. My dad is seriously ill and I am no longer able to homeschool. Naturally, we have some misgivings.Thank you for reminding me to reread my copy of Emotions to Advocacy. I am glad to be part of this blog page. Thanks so much for the reply. The list of problem behaviors I indicated we not my list or the schools list, it was the list on the report card. My list of goals to date are indicated below I am not sure how to make them measurable, or if they are okay as they are. Study skills-Goal to improve work habits & organizational skills. ______ will be accountable for inappropriate actions. ______ will complete tasks in the allotted time. ______ will start tasks when asked. ______ will make appropriate decisions during recess and at lunch hour. ______ will complete and hand in assignments when asked. ______ will raise his/her hand before speaking. ______ will follow routines, instructions and directions promptly. ______ will use acceptable problem solving skills. ______ will interact with peers in a positive manner. ______ will demonstrate respect for others and the property of others. ______ will make positive contributions when called upon. ______ will act in a cooperative manner. ______ will exhibit anger management. ______ will employ good decision making skills. ______ will work quietly without distracting others. ______ will use self control. ______ will remain on task. ______ will work legibly and produce quality assignments and tasks. ______ will use the acceptable voice tones as instructed by the teacher. ______ will use appropriate language at all times and will display self control. You are on the rigth track to taking a decisive step in the planning of goals for your child. Many times, educators push goals at parents, pre-wriiten amongst themselves and feel that the parent do not know what is needed for theri child. I am a special educator and I know this approach needs to change. Way to go. Congratulations on being the first true advocate for your child. There is a website http://www.pbis.org Positive Behavior Interventions and Supports that has a library and multiple resources. I believe you will find many helpful suggestions. I’ve talked to some of the people involved with PBIS and have heard there has been a decrease of 50% in discipline referrals after 3 to 5 years of implementation and up to a 2/3 reduction of discipline panel referrals! I’m concerned that where I live in GA, at a local alternative school, 53% are students with disabilities. Many students with IEPs are being referred to a discipline panel with consequences exceeding the 45 day limit for less than major offenses. A concerned group has tried talking to local school administrators who seem to be turning a deaf ear. The district is now planning to open more alternative schools. Any suggestions or advice on what to do next?